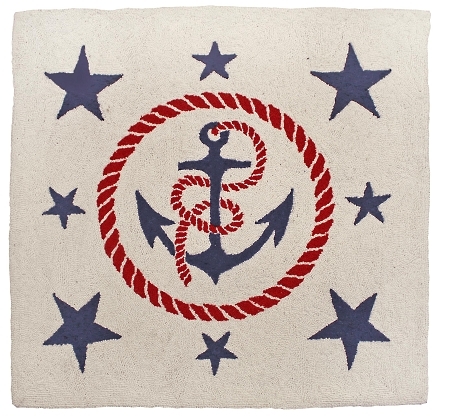 H692 "Anchors Away" 3' x 3' Hand Hooked Rug. 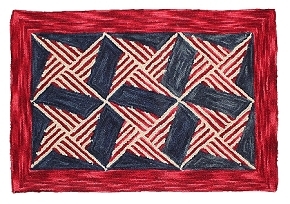 This beautiful 3'x 3' square rug is hand made from 100% wool with a cotton cloth back. 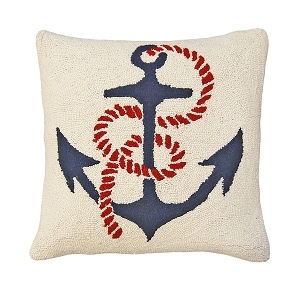 For every boat lover around---a traditional navy anchor sits on a light beige background with a red rope knotted and looped around it. 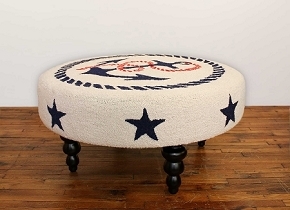 Large stars sit in a circular pattern accenting the nautical anchor. 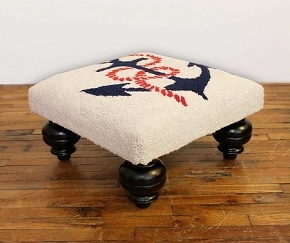 Great nautical themed rug for any home! 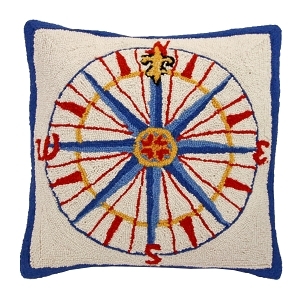 NCU-820 Anchor's Away Hooked Pillow 20"x20"
NCU-836 Compass Rose Hooked Pillow 20"x20"